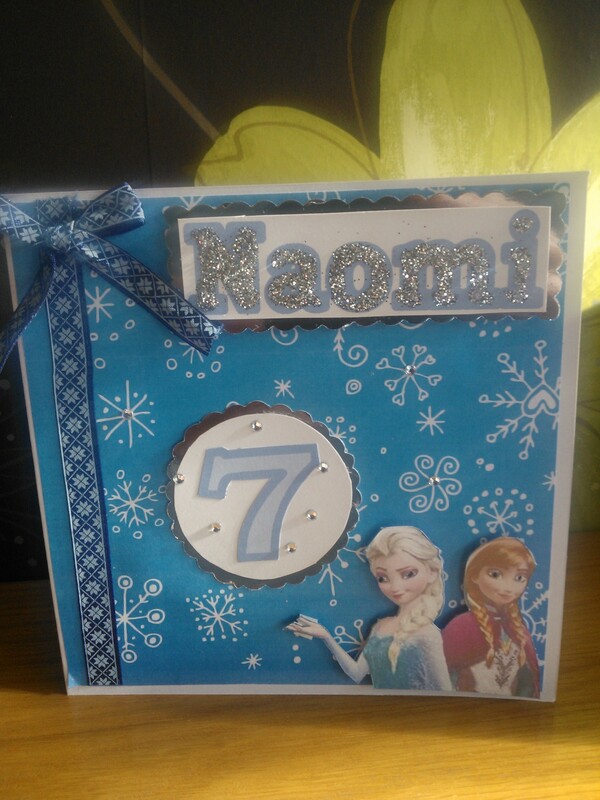 My friends daughter is a bit Frozen obsessed so what there any other option but to make this for her birthday. Made with a 13.5cm square card. I back it with some snowflake paper which I had found as a free download online. Then with some ribbon, glitter and a picture found on the internet the card came together.